Le chapitre 5 de Federation of Fear a été ajouté. Je vous laisse lire. Après avoir accuelli Lariska parmi eux, le groupe s'en allait de Zakaz, puis rencontra deux personnes, le fameux bourreau de l'Ordre, Botar, ainsi que le membre qui a utilisé le bâton d'Artakha, du nom de Trinuma (anagramme de Manutri, comme par hasard...). Mais le bâteau fut subitement attaqué par Makuta Icarax. Botar et Trinuma combattirent le Makuta, pendant que le bâteau s'échappa, mais Botar fut tué par le pouvoir magnétique du Makuta. Quant à Trinuma, il eut juste le temps de s'enfuir pour annoncer la triste nouvelle. Un être du nom de... Tren Krom. Lariska stood at the bow with Brutaka, watching the ship cleave through the water. Behind them, the other members of the team were keeping a careful eye on Makuta Spiriah – not that they could have done much to stop him if he tried to make a break. But Brutaka had done a little math and explained to Spiriah how many hours he was likely to survive once the Brotherhood of Makuta knew where he was. Then he assured Spiriah that if the ship and its occupants were all destroyed, the Brotherhood would be notified immediately where to start looking. That was a bluff, of course. But Spiriah had spent a lot of his life fleeing from his former comrades, and running and hiding get to be habits after a while. As Brutaka expected, Spiriah bought it and backed off. The ship had veered away from Zakaz and was on its way south. There was one more stop to make before they headed for their ultimate target. This was the one Brutaka dreaded – it was time to arm the team. The island that came into view was little more than a piece of barren rock. It was not the original site for this meeting, but plans had changed. Two Order of Mata Nui members, Botar and the nine-foot tall warrior named Trinuma, had been dispatched with a cache of weapons for a rendezvous on a small, wooded island just off the mainland. But a Makuta named Icarax had spotted their appearance and attacked. The fight was furious, but brief. Botar was slain, crushed by the Makuta’s magnetic power, and Trinuma barely escaped to tell the tale. In desperation, he stored the weapons at the first place he came to before returning to Daxia with the tragic news. The ship dropped anchor just off the coast. Brutaka warned Takadox and Carapar he would be keeping a careful eye on them on the swim over, just in case they got any funny ideas about diving deep and escaping. Vezon was the first to react when they set foot on the rocky shore. “You don’t have any powers, freak,” Carapar roughly reminded him. Brutaka approached, carrying the weapons. Takadox took a long, thin blade, while Carapar grabbed a broadsword. Roodaka pounced on a Rhotuka launcher. Brutaka handed Spiriah a projectile weapon and warned him with a cold smile not to point it at himself... or anyone else. Vezon got a spear, which he turned over in his hands with no real enthusiasm. “What’s it do?” he asked. Vezon brightened. “Right,” he agreed, having forgotten once again that he had no powers. Carapar growled in frustration and stalked away. But it was already too late. Vast walls of rock suddenly sprang up from the shore line, forming a 200-foot high wall around the island and cutting the team off from their boat. “Blast it down,” Brutaka ordered. But even the power of his blade was not enough to penetrate the stone. Spiriah had shapeshifted himself some wings and was trying to fly over the top. A sharp spear of stone erupted out of the top of the wall and impaled one of his wings, sending him spiraling toward the ground. Lariska ran, leapt, hit the wall feet first, and propelled herself into mid-air to catch the falling Makuta. There was no time to marvel at her athletic feat or make other attempts to escape. For now a voice was coming from the cave, but not a voice like anyone present had ever heard before. It sounded like the slimy, repulsive sound that comes when a nest of feeder worms is disturbed. Even Brutaka had to suppress a shudder. A massive tentacle shot out of the cave, wrapping itself around Brutaka and pulling him inside. The next moment, he was in the presence of something so horrible, so alien, that it took all his willpower just to hold on to his sanity. Tren Krom...il me semble que j'ai déjà entendu ce nom,mais je ne sais pas où. C'est donc le ça le Fameux Tren Krom !? Que de nouvelle. 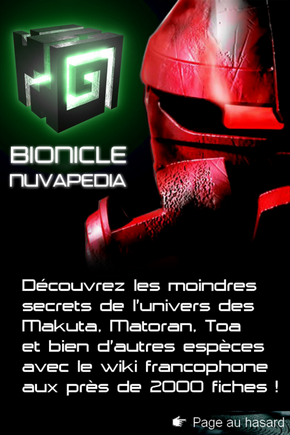 Cette fois ça y est, on est vraiment rentré dans la Guerre entre les Makuta et les serviteur de Mata Nui. Ca alors, Botar tué, qui l'eut cru. Tren Krom=entité gigantesque d'environ 60 mètres. Faille de Tren Krom=faille qui se trouve sur Mata Nui, dans laquelle étaient organisées les courses d'Ignalu et qui reliait Ko-Koro à Ta-Koro. Péninsule de Tren Krom=péninsule à laquelle fut assignée Gorast. Oui je sais tout ça. Mais tu as fais une erreur dans ton résumé. La fédération ne rencontre pas Botar et Trinuma. Ces deux derniers ont affronté Icarax, Botar en est mort, et Trinuma s'enfuyant eut juste le temps de stocker les armes sur le lieu où ils étaient censé se réunir avec la fédération, et repartit aussi tôt annoncer la tragique nouvelle sur Daxia. Si, ils les ont rencontré, c'est après qu'Icarax est arrivé. Excuse moi d'insister, mais nul part il est mentionné qu'ils se sont rencontré. Il devait se réunir clandestinnement sur ce petit îlot, mais Icarax à débarqué pendant que les agents de l'OoMN attendaient la fédération d'après moi. Et franchement ce ne serait pas très logique, si tous les 9 auraient été présent au moment du combat et de la mort de Botar, aussi puissant peut-il être, Icarax n'aurait pas fait le poid. Moi c'est ainsi que j'interprête le texte. Au passage il me semble que les gens ne traduisent pas les séries qu'en Français : Voir le Blog BZP de Toa Of Kenn, qui est sans doute allemand.